januari 2008 | 346 blz. 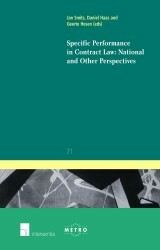 This book intends to deepen our understanding of the right to specific performance in contract law. It brings together sixteen contributions on various aspects of this important action and on its place in the system of contractual remedies.